September 2017 – Malawian journalist Alick Ponje received the inaugural Southern Africa Media Award in Social Accountability Reporting during the Telkom-Highway Africa Awards Gala Dinner held yesterday evening at the 21st annual Highway Africa conference, the world’s largest gathering of African journalists, at Rhodes University in Grahamstown, South Africa. Presented by Highway Africa and the Partnership for Social Accountability (PSA) Alliance, the award recognises journalists from Malawi, Tanzania, Mozambique and Zambia whose investigative reporting on social accountability has contributed to improved services in public health and agriculture, particularly in the areas of HIV and sexual and reproductive health and rights (SRHR), and food security. 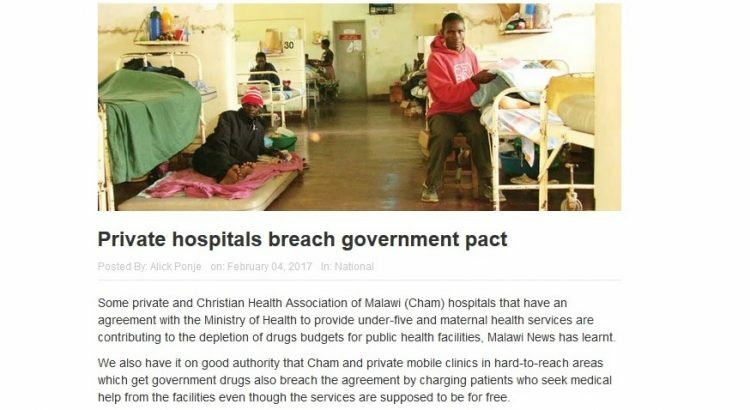 Ponje’s article ‘Private Hospitals Breach Government Pact’, published in the Malawi News, a newspaper of the Times Group, on 4 February 2017, documents how privately run clinics and mobile clinics are breaching their contracts with the Ministry of Health. The clinics order drugs from the district health office and also demand fees from patients for under-five and maternal health services, which are supposed to be free. The situation has reportedly contributed to the depletion of drugs for publically run health facilities. Ponje, 28, now a special projects reporter at the Nation Publication Group, joined the mainstream media in 2014 after graduating as a teacher from the University of Malawi. “Receiving this award is going to motivate me. It shows that people are recognising the efforts we put into our work. I’m in the early years of my career and this will give me the confidence to work on these issues [of social accountability] going forward,” said Ponje. Partnership for Social Accountability Alliance is led by ActionAid International together with Public Service Accountability Monitor (PSAM), Eastern and Southern Africa Small Scale Farmers’ Forum (ESAFF), and SAfAIDS, and supported by the Swiss Agency for Development and Cooperation (SDC).